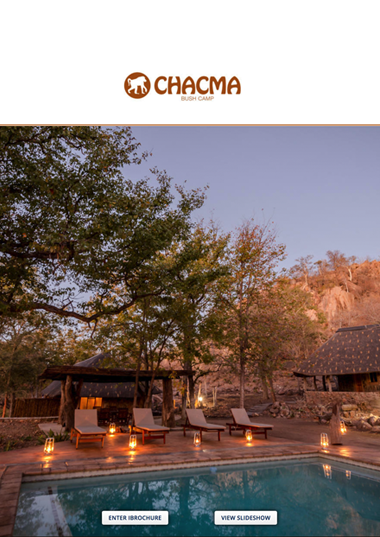 Chacma Bush Camp is located in an undulating, rocky landscape with plenty of drainage lines, ancient caves, boulders and koppies. The camp itself sleeps up to 10 people and children over 5 are welcome. 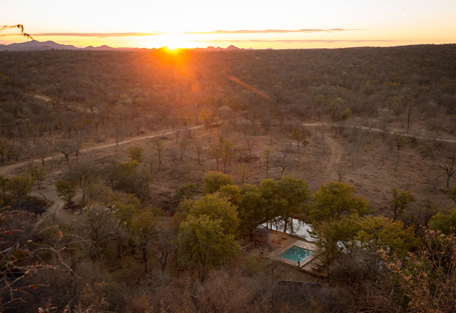 A small waterhole is neatly positioned in front of the swimming pool and outdoor area; and is frequented by elephant herds. 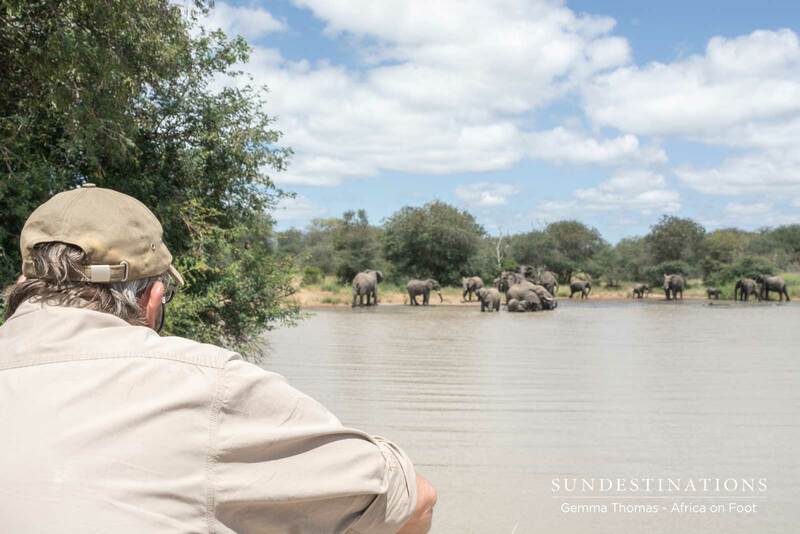 There is an unobtrusive elephant fence that keeps the pachyderms from coming into the camp. 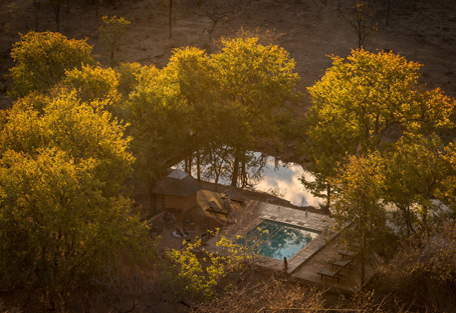 A swimming pool with stone decking overlooks the waterhole. 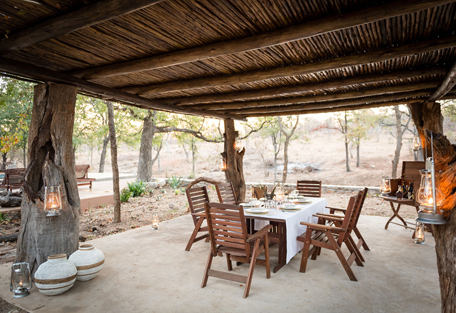 Guests can relax on the sun lounger or under the lapa and watch plains game filter down to drink. 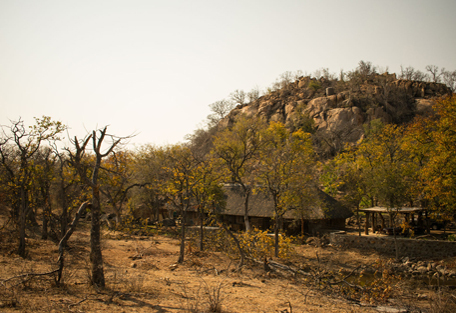 During the down time between game drives, guests can retire to their humble thatched chalet for a quick siesta. Meals are always a highlight at camp, and the menu includes a range of traditional food combined with a flair for the modern. 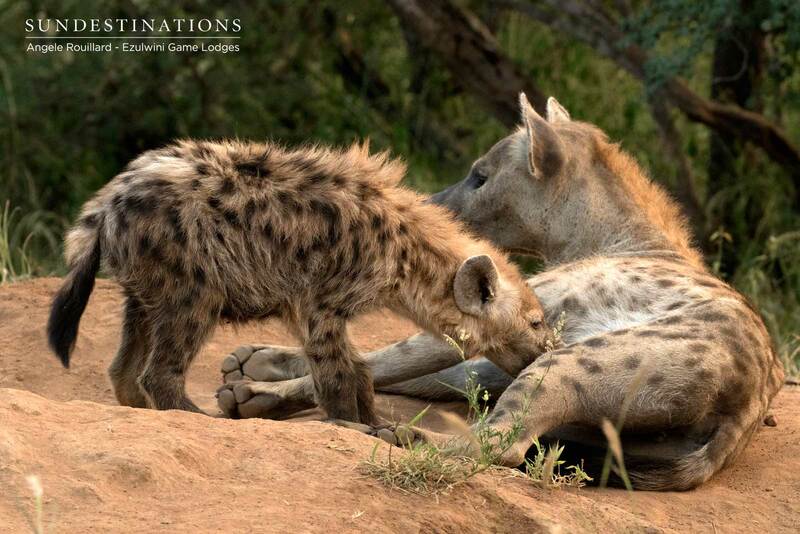 During game drives guests will stop for coffee and snacks in the morning, and evening game drives will involve a sundowner stop with sweeping views. Swimming Pool overlooking the waterhole. Deck chairs around pool area. 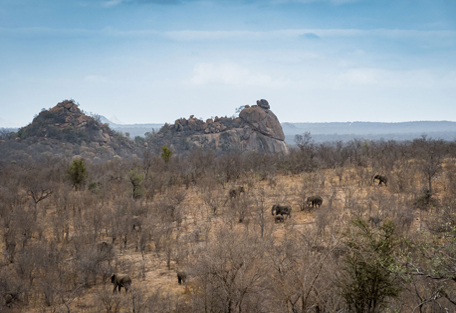 Daily game drives in the 8000 ha reserve with rocky outcrops and the Olifants River. 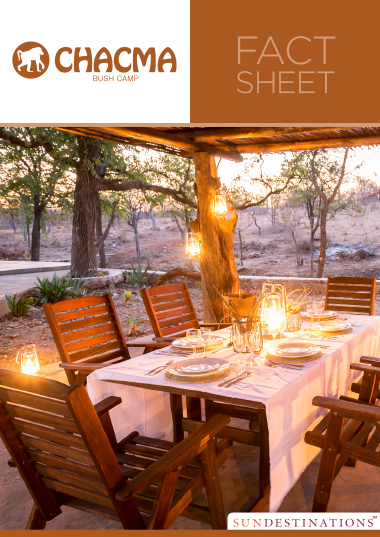 Extra activities include a traditional braai, sundowners experience, bush walks (need to be arranged prior and subject to availability of guide) and/or bush breakfast. 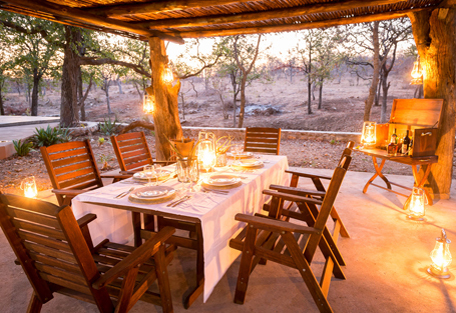 There is a lapa for dining and an outdoor boma area for campfires. There is a small elephant fence on the perimeter of camp. 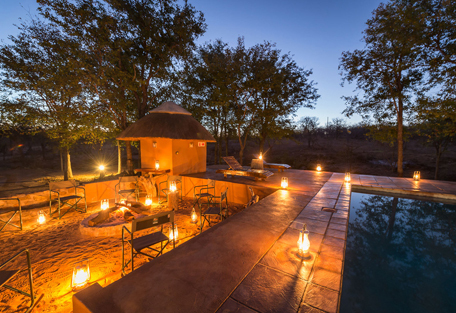 Each of the 3 rooms has their own patio with a view of the surrounds and the Steenbok Chalet has a view of the waterhole. Bathrooms are en-suite, and there is an outdoor shower adjoining the Klipspringer Chalet. The Steenberg chalet has a direct view of the waterhole. Mosquito nets on each of the beds. 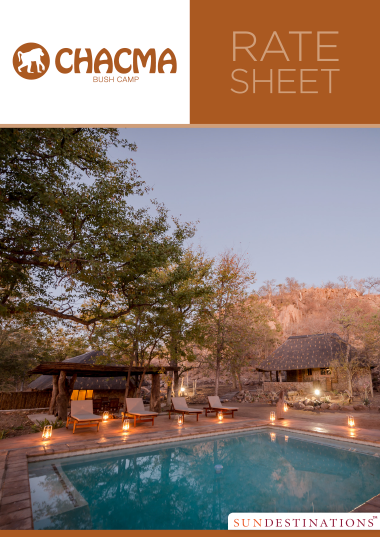 Located in the Maseke Balule Game Reserve in the Greater Kruger, Chacma Bush Camp is ideally located between Hoedspruit and Phalaborwa in Limpopo Province. 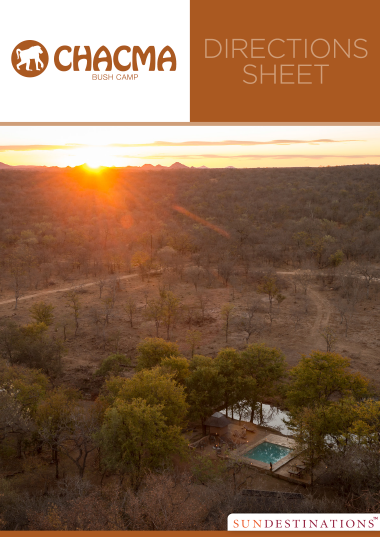 It is an 8000 hectare private game reserve, which shares open borders with the Kruger National Park and wildlife roams freely throughout. 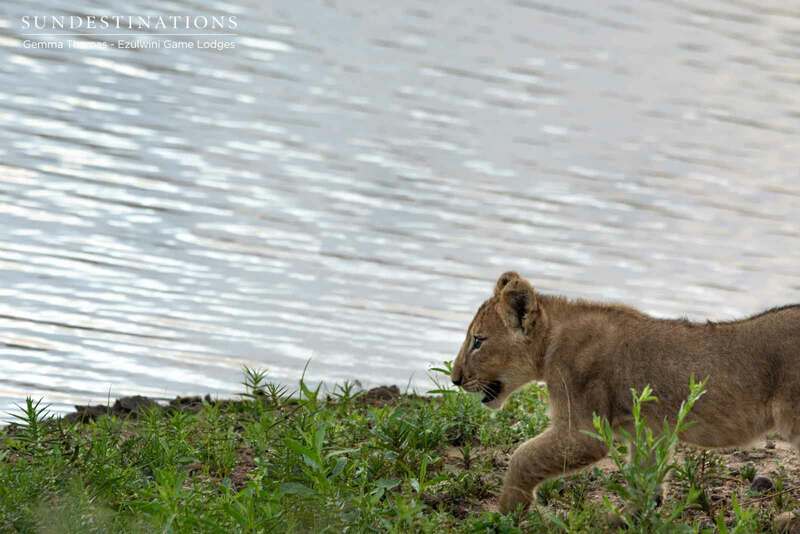 Home to lions, leopards and other predators; the area is not only scenic in terms of landscape but offers incredible game viewing opportunities. The undulating landscape is home to the Olifants River north of the of camp and old mica caves dot the landscape throughout. Prominent mountainous ridges and boulder koppies characterise the terrain, making it an interesting region to explore while out on game drive. Enjoy daily game drives in this pritsine reserve. 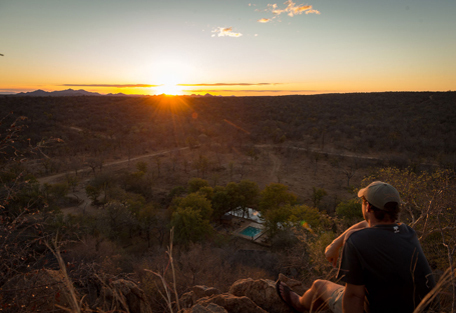 Special excursions such as sundowners, bush breakfasts at the river and star gazing can be arranged. South Africa is a diverse and scenic country to see, and a self-drive option is recommended for guests who have the time for a unique adventure. The drive from Johannesburg takes about 6/7 hours according to directions that will be provided for you. The roads are good and safe, with plenty of small towns and scenic road stops en route. The scenery in the Mpumalanga/Limpopo region is spectacular. Flying from Johannesburg or Cape Town to Hoedspruit Eastgate Airport is the easiest option for getting to Chacma Bush Camp. 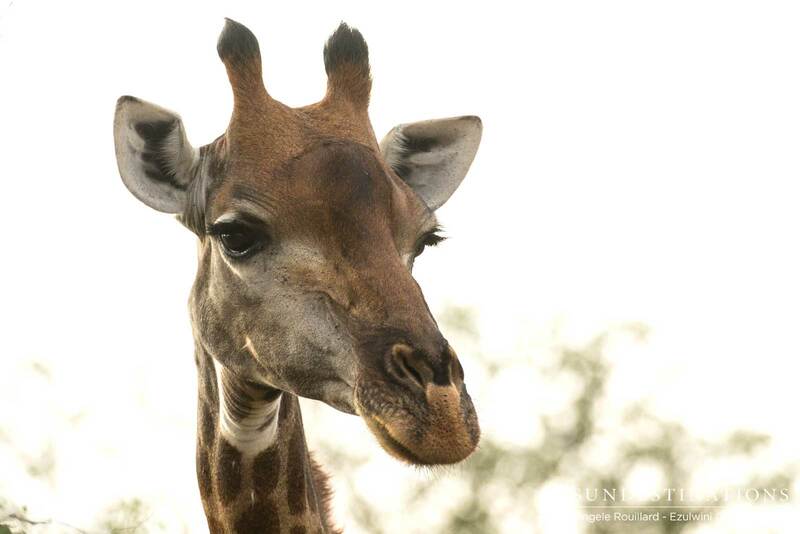 Hoedspruit receives guests travelling to the Greater Kruger every day. You can also fly into the lesser-known Phalaborwa Airport, but Hoedspruit is the most popular and recommended. Your host will transfer (fee) you from the airport back to camp. The camp is located on the R40 between Hoedspruit and Phalaborwa. Road transfers are another option for guests. The Ashton’s Transfer takes guests to Three Bridges just outside Hoedspruit town, which is where Chacma hosts will collect you for a 30 min transfer to camp.